HOLLYWOOD—World No. 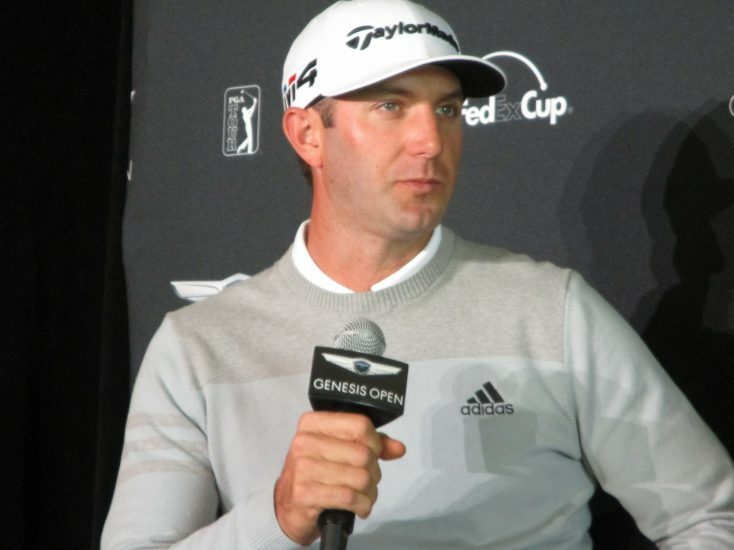 1 and 2017 Genesis Open tournament champion Dustin Johnson is set to defend his title when the world’s best professional golfers on the PGA tour, including Tiger Woods, return to the historic Riviera Country Club in scenic Pacific Palisades, Calif. Feb. 12-18. Johnson was on hand Monday for a media day event. Asked why he wanted to return, Johnson quipped, “I really love being No. 1 in the world.” The renowned golfer won the 2017 Genesis Open by five strokes and ascended to the top spot on the Official World Golf Ranking, which he still holds. 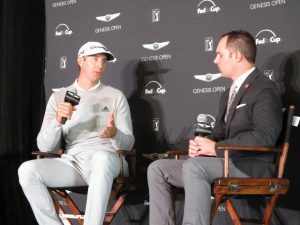 Johnson also said he is eager to defend his title and to compete against Woods, who returns to the Genesis Open for the first time since 2006. He is looking forward to competing against rising stars Jordan Spieth, Justin Thomas and the other pros in the tournament. One of the longest-running events on the PGA Tour, the tournament celebrates its 92nd playing this year. With TGR Live serving as the event management company for the Genesis Open (the luxury automaker is in its second year of sponsorship), the Tiger Woods Foundation is the primary benefiting charity, with proceeds form the event supporting the foundation’s college-access programs in Southern California. For more information about the the Genesis Open and ticket information, go to genesisopen.com or go to #genesisopen on Twitter.